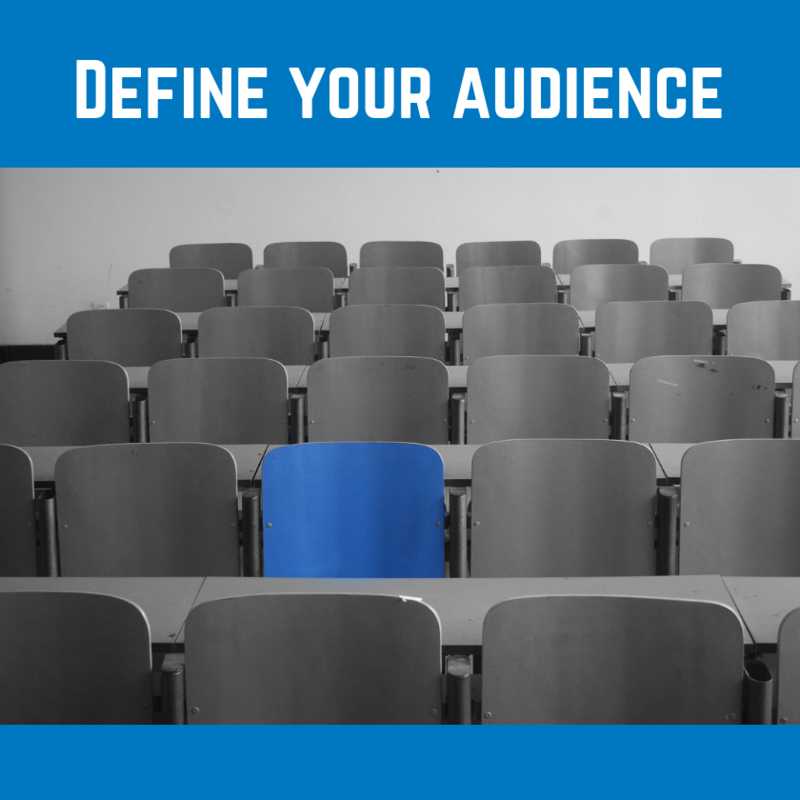 Do you take the time to define the audience for whom you’re writing? Writers who don’t do this before writing may produce content that doesn’t hit the mark. 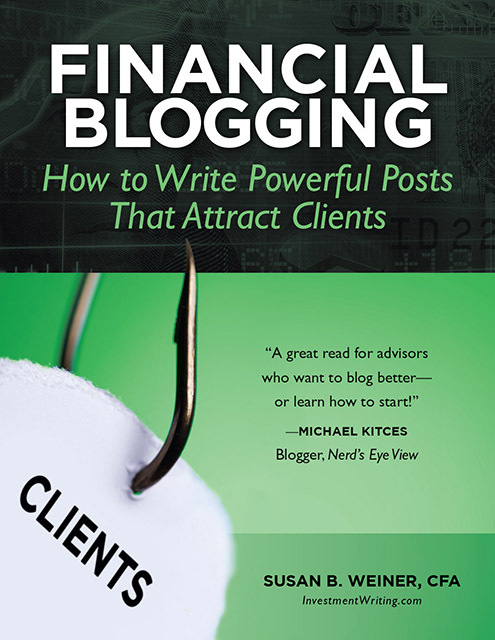 On this blog, and in my financial blogging book, I suggest how to narrow down your audience. However, I’m always looking for new approaches. That’s why I was intrigued by the chapter on “How to Define Your Audience” in How to Write and Present Technical Information by Charles H. Sides. 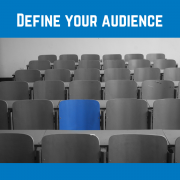 My systematic method for audience definition is divided into four processes: (1) defining who the readers are; (2) defining what the readers know; (3) defining what the readers need to know; (4) defining what the readers will do with the information. Let’s look at the Sides method in the context of financial services. For example, are your readers potential clients? If so, are they individuals or institutions? Or, are you targeting the press, social media influencers, referral sources, students, professors, or members of your own organization? Are your readers members of one narrowly defined group, or are you targeting a mix of groups? As Sides says, “Readers come to a document with different backgrounds, different levels of knowledge about the subject, and different needs for the information that is provided.” he suggest that, among other things, you look at the professional and educational backgrounds of your readers. For example, a recent college graduate who majored in finance will respond differently from a recent graduate with a Ph.D. in Japanese history who will respond differently from a Japanese history Ph.D. who has also earned the CFA credential and worked for an investment management firm (like me). Your readers’ educational and professional backgrounds will give you a general idea of what they know about your topic. However, they may not know many specifics about the narrow topic that you’re writing about. In the tech context, Sides says, “they may know a good deal about game-design architecture, but would need to be led clearly through a report about a new kind of virtual reality (VR) headset that your firm has developed.” In an investment context, an international stock analyst is knowledgeable about non-U.S. stocks in general, but may not know about the frontier market where your firm is pioneering investments. What information does your audience need from your report or paper to do their jobs better? Will the information that’s included need a technical slant or a managerial slant, a marketing or public relations slant? Your answers to the first question will help you to delete unnecessary information. Your answers to the second question will help you focus your writing. For example, will your readers use the information to perform professional tasks, such as picking specific investments? Or, are they simply using your information to increase their knowledge of the field? Sides concludes that “We might not always tell readers what they want to hear, but we should always give them what they need—and should want—to know.” To achieve that, it helps to define your audience. Blog your passions or your audience's interests? MISTAKE MONDAY for November 5: Can YOU spot what’s wrong? MISTAKE MONDAY for November 12: Can YOU spot what’s wrong?